The National Mall is in need of a long overdue makeover, and the National Park Service wants your input on just what to change. The NPS has a plan that would include improved walkways, more food choices, and yes -- more bathrooms. More than 25 million visitors flock to the Mall each year, and as you can imagine the 600 acres take a harsh daily beating. "Many people go to the National Mall three or four times a year ... for a few people it may be a once-in-a-lifetime experience," Susan Spain, the National Mall Plan project executive, told the Washington Post. So what should be improved? The National Park Service is taking suggestions from the public through March 18. Options can be read in a brief 600-page document, or viewed online. 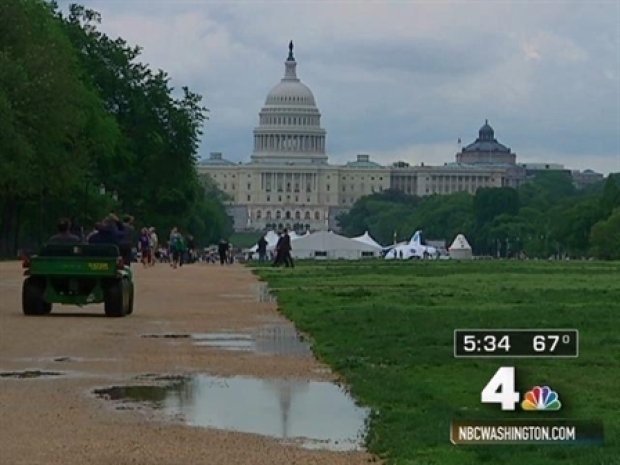 The National Mall needs almost $500 million in repairs, so a private group that's trying to help raise the money held its second annual luncheon to draw attention to the issue. Union Square: NPS would restore the Ulysses S. Grant Memorial to make it the focal point of Union Square. It would also be transformed into a larger venue able to accommodate more First Amendment demonstrations and events. The reflecting pool may also be downsized to make the space more versatile and reduce water use. 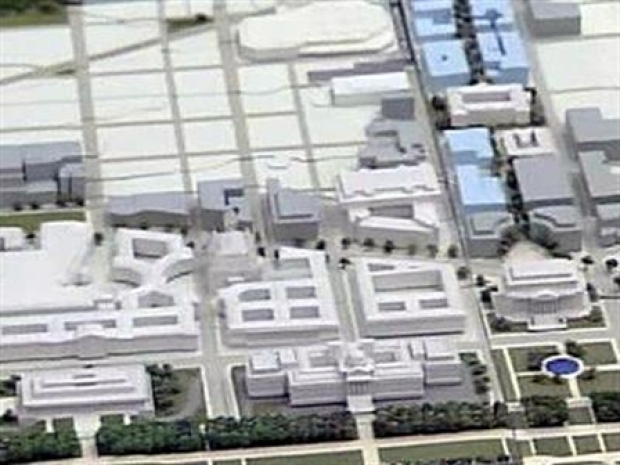 The area would also get more public restrooms and drinking fountains. The Mall: Gravel pathways would be paved to improve circulation. NPS would also replace all compacted soils with engineered soil capable of withstanding intensive use. A paved welcome plaza at 12th St and Jefferson Dr SW would also include a visitor contact station with "high-capacity" public restrooms, multiple orientation maps, and a large model or pavement map of the National Mall. The Park Service says a new proposal for the National Mall's design would be easier for visitors to navigate. Washington Monument: Replace the Sylvan Theater with a multipurpose performance space that would also serve food. It would also include more public restrooms. Constitution Gardens: The current lake would be reconstructed to be self-sustainable, and the area would be rebuilt to provide food service and entertainment options. The plan also calls for more seating near the Vietnam Veterans Memorial, expanded restrooms within the Lincoln Memorial, and widened walkways at the Korean War Veterans Memorial. NPS would also reconstruct the tidal basin area to accommodate wider walks and improve bicycle and vehicle circulation. To get a CD version of the entire plan, complete wtih other options, send an e-mail request to nationalmallplan@nps.gov and put "Request copy of National Mall Plan DEIS" in the subject line. In the actual e-mail include your full name and complete mailing address.